The following is taken from cheat sheets in “Probability for Dummies” by Deborah Rumsey. To purchase online click on the image. The mathematics field of probability has its own rules, definitions, and laws, which you can use to find the probability of outcomes, events, or combinations of outcomes and events. To determine probability, you need to add or subtract, multiply or divide the probabilities of the original outcomes and events. You use some combinations so often that they have their own rules and formulas. The better you understand the ideas behind the formulas, the more likely it is that you’ll remember them and be able to use them successfully. In probability, a discrete distribution has either a finite or a countably infinite number of possible values. That means you can enumerate or make a listing of all possible values, such as 1, 2, 3, 4, 5, 6 or 1, 2, 3, . . . There are several kinds of discrete probability distributions, including discrete uniform, binomial, Poisson, geometric, negative binomial, and hypergeometric. 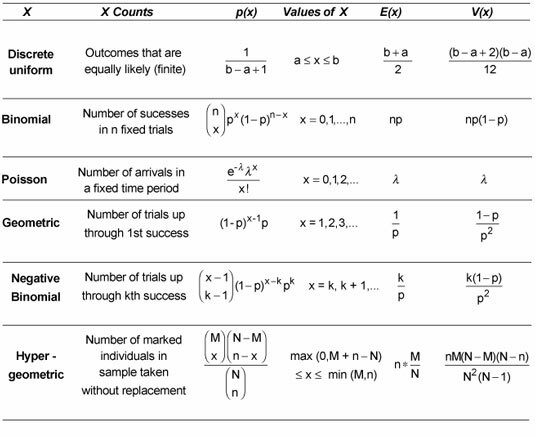 When you work with continuous probability distributions, the functions can take many forms. 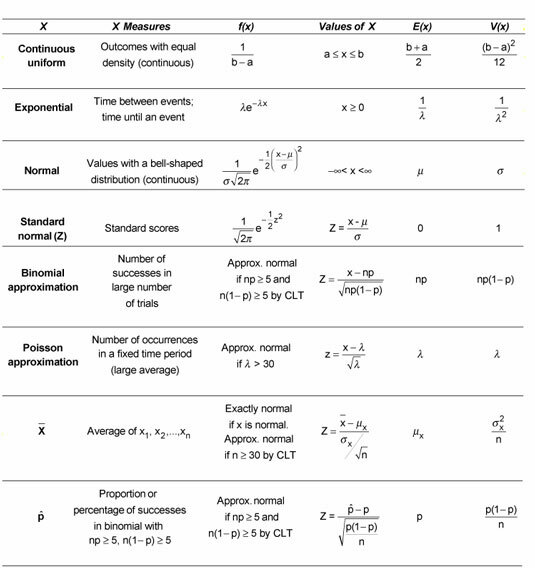 These include continuous uniform, exponential, normal, standard normal (Z), binomial approximation, Poisson approximation, and distributions for the sample mean and sample proportion. When you work with the normal distribution, you need to keep in mind that it’s a continuous distribution, not a discrete one. A continuous distribution’s probability function takes the form of a continuous curve, and its random variable takes on an uncountably infinite number of possible values. This means the set of possible values is written as an interval, such as negative infinity to positive infinity, zero to infinity, or an interval like [0, 10], which represents all real numbers from 0 to 10, including 0 and 10.